I lovelovelove this merchandise photo. There’s that old saying about a picture being worth a thousand words, right? Most of the time, we fight clutter in our shops, of course. But sometimes, messing the joint up, cluttering the sales floor, is a must. Like when you’re taking some photos of your merchandise for use on your web site, your social media, your print ads or brochures. You want to show the variety a “new” merchandise shop simply can’t match; you want to imply that wonderful find-a-treasure aspect of shopping with you; and you want to tempt them to come in quick before it’s all gone! One of the most profitable things you can sell in your shop is jewelry. Why? Well, if you follow the advice in the Manual, the mark-up can be terrific; jewelry takes up little space so your dollars per square foot can reach into the thousands; and because, well because jewelry fits most everyone! One of my favorite handbag manufacturers is Ghurka. Actually, I love everything they make, from briefcases (and knife rolls!) to campaign furniture. I can’t get enough of Ghurka’s timeless, functional designs. If the same is true of you and your consignment/ resale customers, I’ve just discovered a real treat: the Ghurka web site has tips on dating their vintage bags, and even prices the bags sold for! 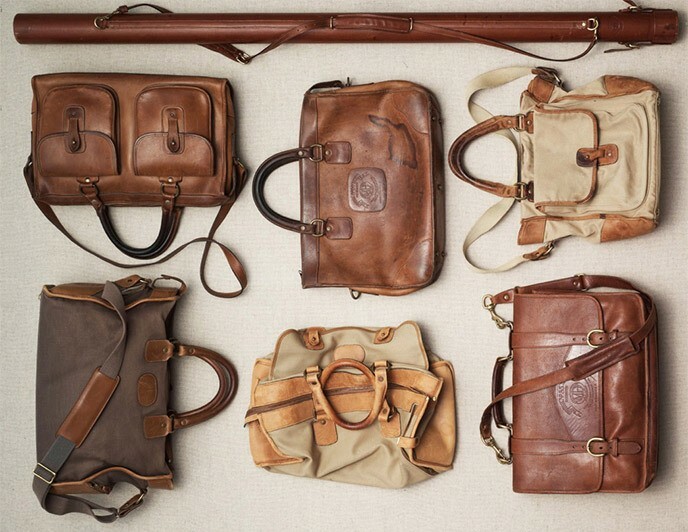 Drool over their vintage archive. And here’s eBay’s current list of vintage Ghurka purses… check and make sure you haven’t overlooked these in your shop stock! Do you get Ghurka bags in? Do you have similar sites for other designer handbag resources that you’d like to share with your fellow consignment, resale, or thrift store? Tell us in the comments, below! Love this idea for a little wall space… especially if your shop’s branding is nature/ natural. It’s not? Spray-paint the bamboo placemat black, or silver, or your store’s signature color. Didn’t you love, as a child, “snooping” through your grandmother’s top drawer? Recreate that treasure-hunt with a dresser and a collection of tea cups holding small adornments. Having a tiny space within your shop that looks like it holds wonderful little treasures intrigues customers and breeds Word of Mouth… here’s an example! There’s lots more Pinteresting inspiration on both Too Good to be Threw Pinterest and How To Consign Pinterest. Follow them all! Need a specialty fixture for your consignment, resale or thrift? Visit your local home decor/ furniture resalers first. Not only will you find unique shop fittings, but you’ll be supporting your peers, recycling, and making a unique statement!